After selling Polaris to Virtusa, Jain will focus on Intellect Design, play the role of mentor and angel investor, and pursue his interests in healthcare and education. Early this month, the Indian IT industry saw one its biggest merger deals when US-based Virtusa bought 53 per cent of the promoters' stake in Polaris Consulting. The Rs 1,173-crore or Rs 11.73 billion deal was in many ways a fitting round off to the long entrepreneurial journey of its founder, Arun Jain, who calls it the "biggest decision of his life." From a fledgling start-up that began with a capital of Rs 10,000 in 1993 and just one client, Polaris is now an over Rs 2,100- crore IT giant with banking and financial services as its stronghold. For the son of a government servant who struggled to get through school as his father's salary wasn't enough to pay for the education of his ten siblings, his story has been one of meteoric rise from the margins. 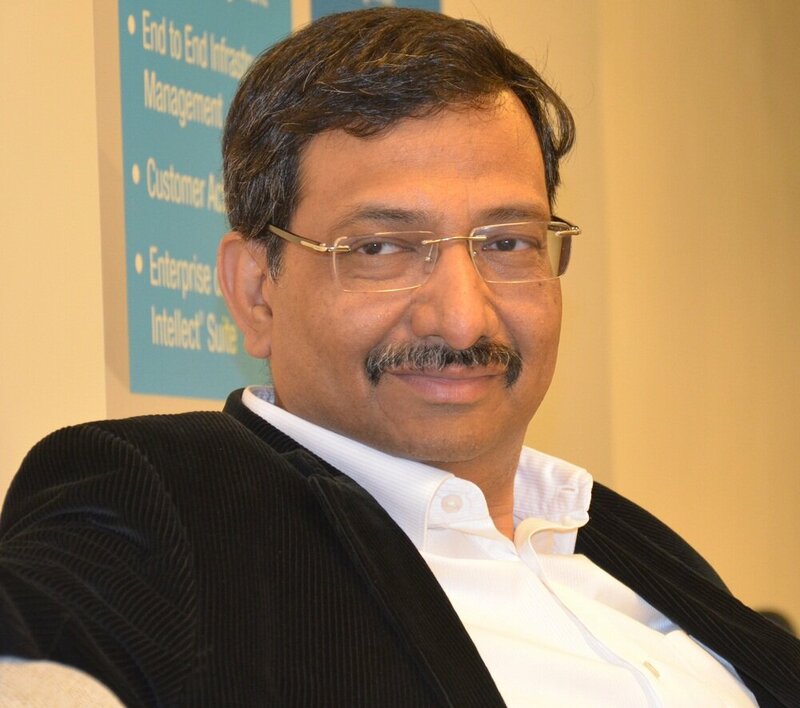 After graduating in electrical engineering from the Delhi College of Engineering in 1983, Jain, along with two of his seniors, started a company called International Information Systems that undertook software projects in India. The genesis of the idea that later led to Polaris came about two years later when he went on a six-month training programme to Wang Computers in the US after his brother-in-law coaxed him to do so. The stint opened his eyes to the vast opportunities in software programming. Jain returned to India in 1986 and bid for a Citibank project to provide software solutions in the area of consumer banking. This was his big moment. His firm clinched the deal beating the likes of TCS, Infosys and Mastek. "It was a major breakthrough for me," recalls Jain. For the next five years, he focused on highlighting to Citi the win-win nature of the deal and strengthened the partnership. He thought if he was successful in creating a relationship where each party was dependent on the other, Citi would be more likely to stick with Polaris. And the gambit paid off with Citi becoming one of the company's longest-standing clients. It was during this time, in 1993, that Polaris Software Lab was born. The co-founders of his original company, International Information Systems, had grown apart and the company needed a new direction. Jain restructured the company into three separate entities with each partner now getting to drive his own business and at his own pace. Polaris Software, which was started with an initial capital of Rs 10,000, became Jain's exclusive preserve. By 2000, he wanted the company to reach a turnover of Rs 100 crore and expand its ambit to include software projects for banking, financial services and insurance. This was also when he started to look beyond his relationship with Citibank. He wanted to set up an IT technology park with global infrastructure and bring down his company's dependence on one company. The ensuing years saw Citibank's share drop to 30 per cent even as Polaris's turnover shot up to over Rs 200 crore. Having a band of motivated workforce, who were each given a stake in the company after it went public in 1997, played to his advantage. An employee who does not want to be named says, "People work on their own, instead of being asked to work. Jain likes to empower people to take decision. He won't micro-manage, but when things go wrong, he will step in." Jain had to take several strategic decisions to speed up Polaris's growth and one of them was the merger of Polaris with OrbiTech. This merger freed Polaris to look for projects globally and not be seen as a Citibank subsidiary. One big setback for Jain came in 2002 when he was arrested in Jakarta following a complaint from a Polaris client who was dissatisfied with the quality of work executed by the company on a software project. He spent 11 days in custody but was later set free after intervention from industry bodies and the Indian government. In 2014, Polaris's services and products businesses were demerged, setting the stage for the sale of the services arm. The services business (Polaris Consulting) in 2014-15 had reached a revenue of Rs 1,678 crore, while the products business (Intellect Design) clocked a revenue Rs 453.10 crore. Virtusa through its subsidiaries will acquire 53 per cent of the promoters' stake and will make the mandatory offer to public shareholders (subject to a maximum of 74.99 per cent). While this may have marked an end to one part of his entrepreneurial journey, Jain, 56, is neither retiring nor shorn of plans. Entrepreneurship comes naturally to him. He turned in his first profit of Rs 30 from a venture when he was still in school. It was from a food stall he set up with a friend on Janmashtami. This was followed by another venture when he was 19 - a charity event where he screened a Dharmendra movie and made Rs 3,000, a very handsome amount in those days. Growing the group's banking and financial services arm, Intellect, to a turnover Rs 1,600 crore in three years is next on his agenda. He also wants to pursue his interests in healthcare and education. He is planning to set aside Rs 100 crore from the money he will get from the deal to set up at least 10 hospitals with 50-100 beds each. Polaris's promoters are expected to make Rs 639.80 crore from the Virtusa deal. Jain is also looking to be more active in the start-up arena. He has started a business called START-UP Nukkad, a platform to enable entrepreneurs to meet and discuss the obstacles to growth. "I will be a mentor and an active angel investor," he says.